Tokyo has its share of world-class museums, especially since it’s a huge city with an amazing history. Tokyo has its share of world-class museums, especially since it’s a huge city with an amazing history. However, Japan is also known for its technology, and there is a great museum dedicated to that. That’s Miraikan, or more formally known as the National Museum of Emerging Science and Innovation. Located on the island of Odaiba in Tokyo Bay, this museum is not far from several other attractions, and is easily accessible from the Yurikamome Line. The building is a very modern design with curving glass. The inside is just as impressive-looking as the outside. One of the first things you will see after buying tickets is the big globe hanging from the ceiling in a large open area near the front of the building. 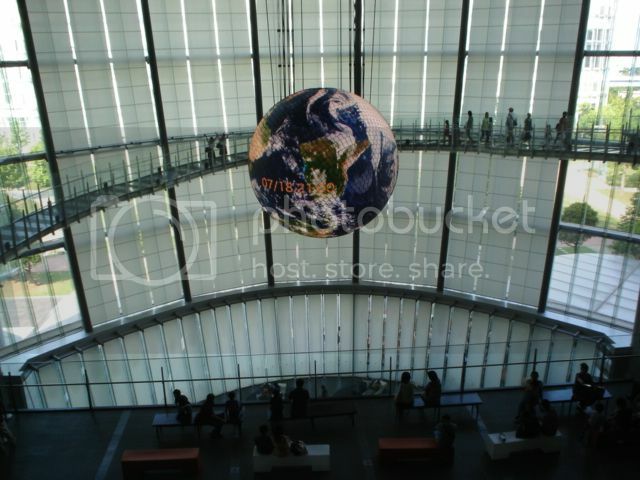 This globe consists of many video screens and will give various views of the Earth, including real-time weather systems, historic maps, and more. A winding walkway goes around the globe, which also allows a spectacular way of moving between the floors. There are various areas in the museum, ranging from life sciences, environmentally friendly sustainable home technology, space sciences, robotics, and more. One of the most popular exhibits is the mockup of a space station module, which shows how astronauts live and work, as well as how they eat, what their toilet looks like, and more. The museum is also run by Japanese astronaut Mamoru Mori. The robotics area is extensive. You can sit inside a virtual reality-like ride that simulates what it’s like to actually be a robot. In fact, the robot you control is just a few metres away. You can feel the movements, see what it sees, and control where it goes. 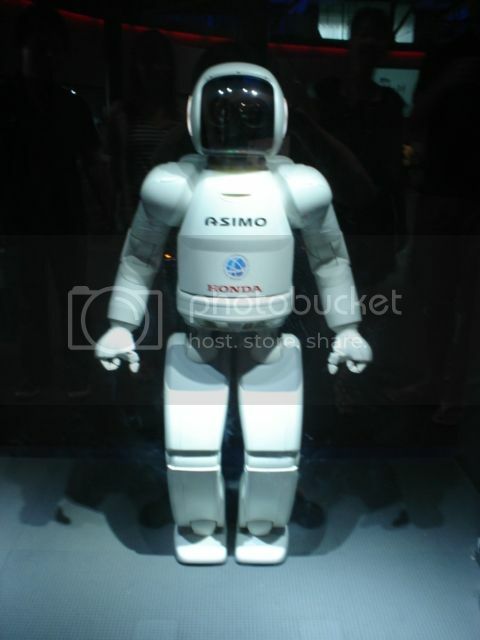 Nearby is a very famous robot, Honda’s Asimo. Demonstrations are regularly done. Museum patrons can also join in several kinds of workshops, where they can learn hands-on skills. It’s common for children to take field trips to the museum to learn about future technology. The museum is filled with high technology, but is also very family friendly, and is delightful for children and adults alike. English guides are available, so it can be enjoyed by tourists, as well. It’s a great place to spend the afternoon and engage the imagination.